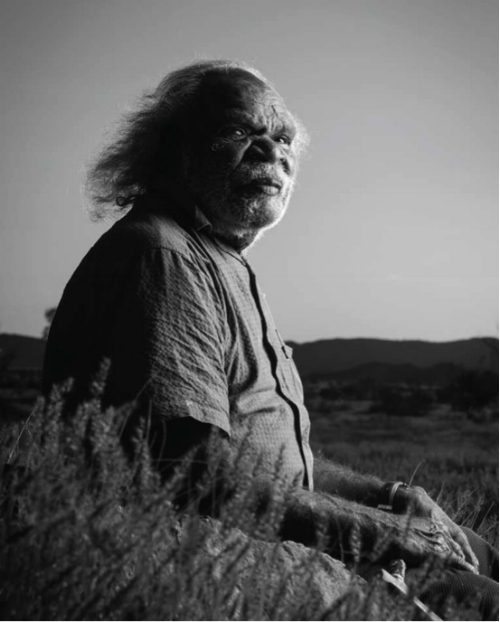 Read more about the Ngintaka Tjukurpa as told by Harry here. Harry Tjutjuna was born at Walytjatjara, north east of Pipalyatjara. He is a Ngankari (traditional healer) and senior law man. In his youth he moved to Ernabella Mission where he was educated and worked on the settlement on bore sinking, fencing, and tending to the sheep. Harry first started painting in 2005 at Ernabella Arts Centre before moving to Pipalyatjara in 2008 where he began painting at Ninuku Arts.